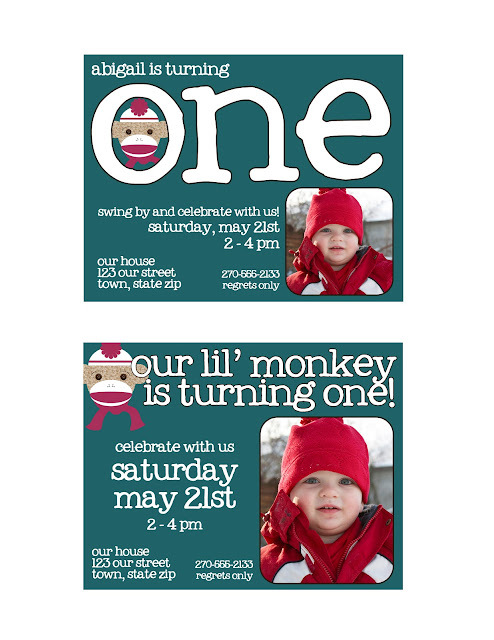 I am excited to tell you that I can now also offer you custom invitations to go with your other sock monkey birthday decorations! A new friend emailed me asking if I could customize the decorations for her daughter's first birthday, and if I could also make some corresponding invitations. Of course I jumped at it and had a lot of fun coming up with two different invitation designs for her to choose from. So if you're interested in having custom invitations to go with your sock monkey party, feel free to shoot me an email at hutch.stacyleigh@gmail.com. 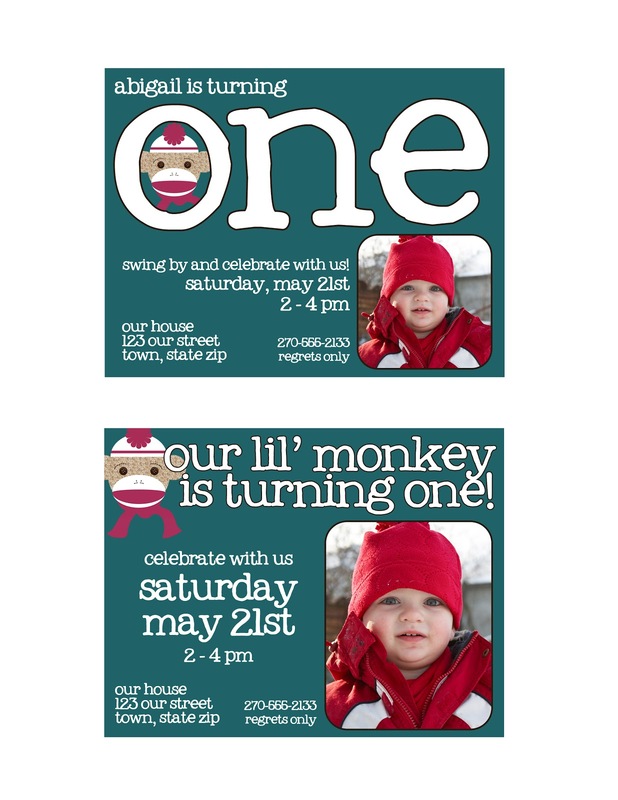 Hi, i'm interested in the sock monkey invitations...how much are they and do you just send me a PDF file to print my own? thanks! i love the sock monkey theme you have created!! Hi I am interested in the sock monkey cupcake toppers. I just need them for my son's first birthday so the number has to be changed. Let me know how much and e-mail me whenever possible. Thanks so much! Darn I found this pin and was really hoping to just get the invitations! :( but then just now read your post that you aren't doing them anymore. I hope your family is doing well! Sorry to bother you!